Burke Industrial Coatings offers a line of industrial strength metal and aluminum cleaners and metal prep products. We have the right product to meet your cleaning needs regardless of the contamination encountered. Offering both super heavy-duty cleaners and 100% biodegradable water-borne formulations, we have tailored our product lines to meet the many challenges faced by our customers in all facets of metal cleaning and preparation. 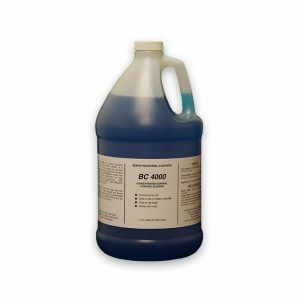 Burke’s general purpose alkaline cleaner/degreaser serves a variety of applications in general metalworking and industrial applications. It is a vastly superior, and safer alternative to solvents when prepping metal for painting and finishing operations. 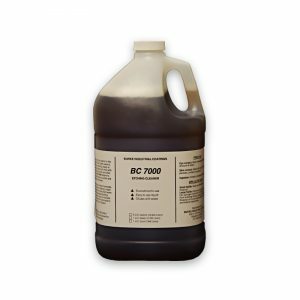 The biodegradable formula is safe for use on all metals and acts by emulsifying any grease and oil on the metal surface. Ideal for manufacturing, MRO, food processing and automotive environments. Burke’s steel and aluminum metal cleaners offer super-heavy duty cleaning for heavily contaminated substrates in commercial and industrial environments. The cleaner promotes better adhesion of primers by removing dirt, grease, and oil, peeling paint or other substances that may otherwise interfere with adhesion. When diluted, it is also used to etch aluminum in preparation for priming or painting.